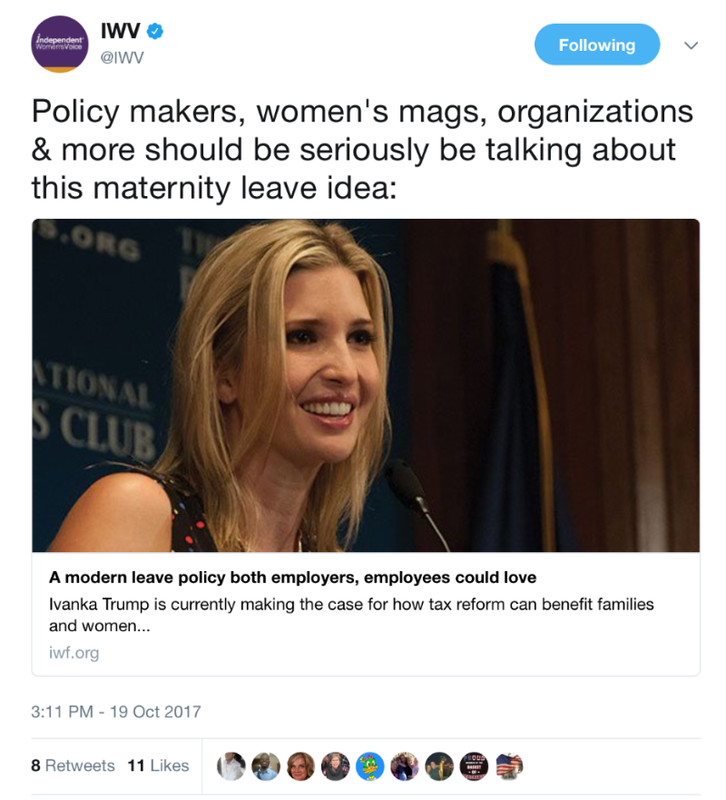 Ivanka Trump is currently helping to lead the charge on explaining the benefits tax reform will have for women and families. Another important policy to help families is family leave. 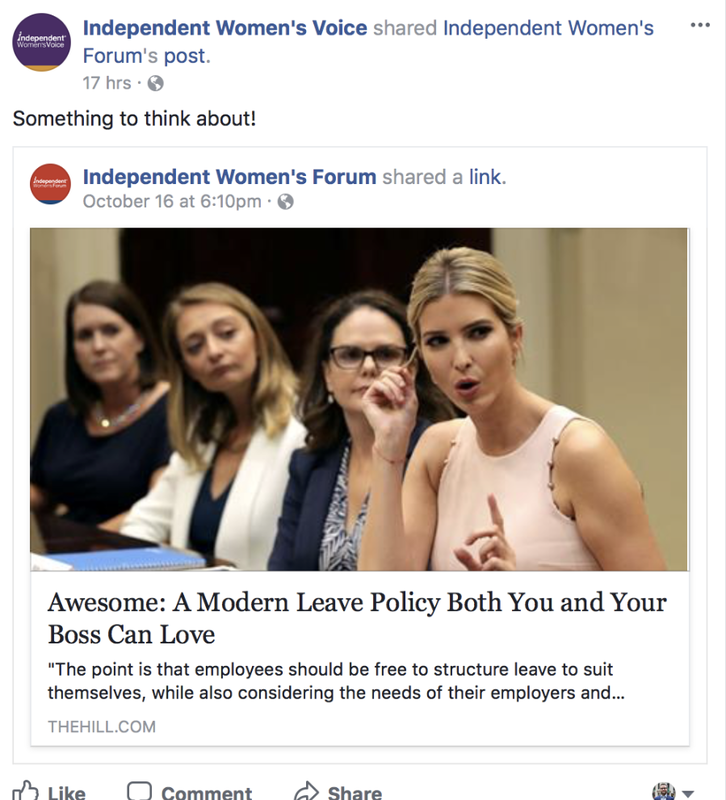 Writing in The Hill, my IWF colleague Carrie Lukas is joined by Frayda Levin and Christina Sandefur in proposing a family leave policy that would work for both employers and employees: Universal Leave Accounts. It's a simple idea: Just as people are encouraged to save for retirement and education expenses, they should be encouraged to save for time that they cannot work. Workers would put pre-tax earnings, up to a maximum, into their accounts, and then those funds could be used to “pay” for their leave time when it's needed. And, empowers women and families to structure leave that works for them. Click on the Facebook and Twitter posts below to help share this message.